In the wake of her cousin’s sudden death during Civil War II, Jennifer Walters became Marvel’s signature Hulk and her solo series, written by Mariko Tamaki, became a powerful story about the psychological trauma that superheroes endure. Sadly, She-Hulk’s adventures are coming to an end. 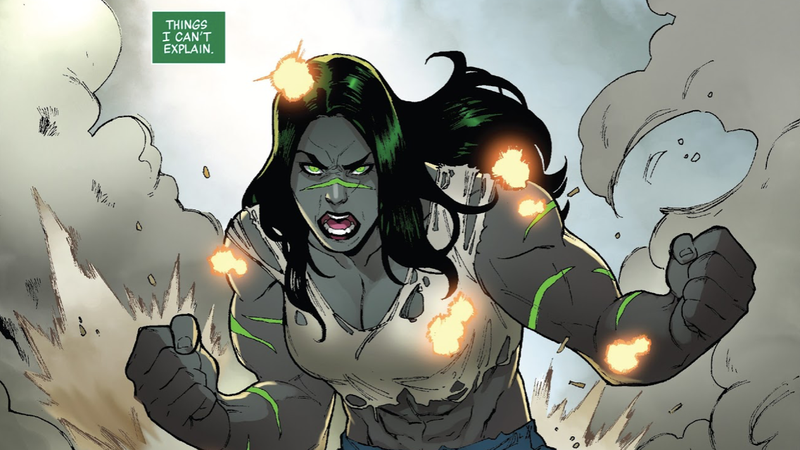 She-Hulk’s cancellation comes at a time when Marvel seems to be backpedaling somewhat from its All-New All-Different campaign first launched back in 2015 that saw characters like Sam Wilson, Jane Foster, and She-Hulk elevated to new positions of prominence and visibility. Gradually, each of these characters have been ceding back the codenames and superhero personae they’d inherited from white, male legacy characters and Marvel as a whole appears to be vested in focusing more on those legacy characters. Tamaki’s Hulk and She-Hulk series focusing on Jen weren’t your typical smash-em-up style of Hulk books, but they were important all the same. Both of the series were refreshing and thoughtful examinations of the psychological toll that superheroing can have on a person. They spoke to the importance of self-care and maintaining one’s mental health. It’s a shame to see She-Hulk go but hey, there’s always the trades. Jennifer Walters Won’t Be She-Hulk Anymore. She’s Just Going to Be the Hulk.